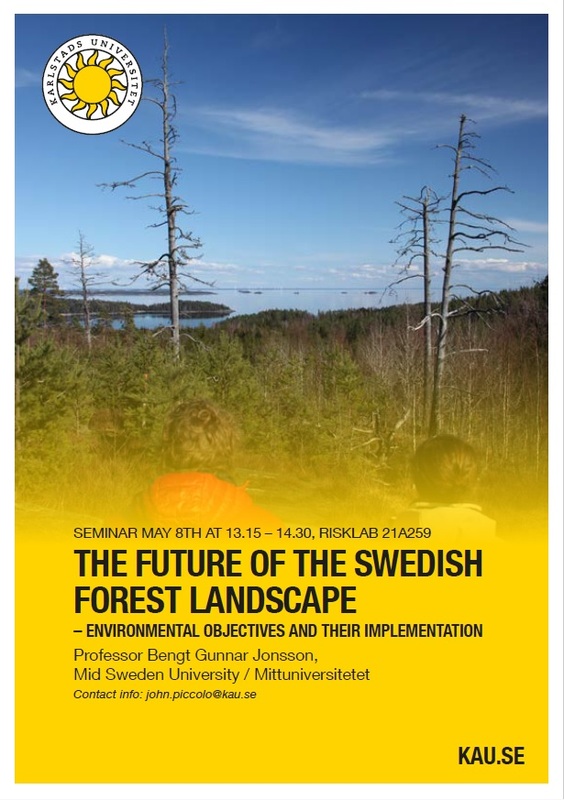 On Tuesday May 8th Bengt Gunnar Jonsson, professor at Mid Sweden University, will give a seminar titled: “The future of the Swedish forest landscape – environmental objectives and their implementation”. The seminar will start 13.15 in the Risklab (room 21A259) at Karlstad University. Everyone is welcome to attend the seminar. In approximately three weeks, on April 21, World Fish Migration Day will be celebrated around the world. World Fish Migration Day is a global event with the aim to create awareness of the importance of open river systems for migratory fish. The event is coordinated by the World Fish Migration Foundation. 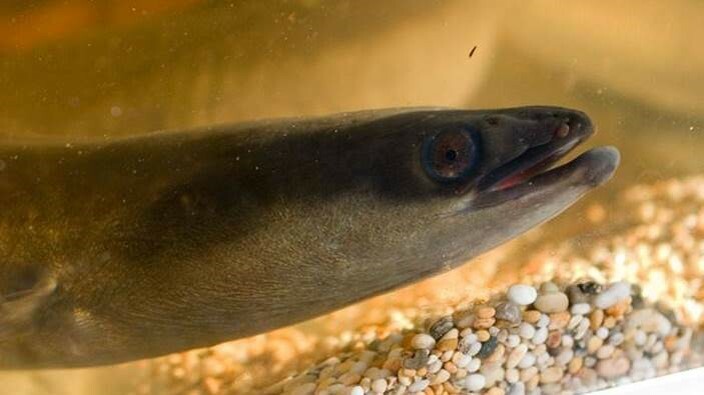 At the time of writing, over 300 events are registered all around the globe for World Fish Migration Day, all with the goal to improve people’s understanding of the importance of healthy river ecosystems and migratory fish populations. 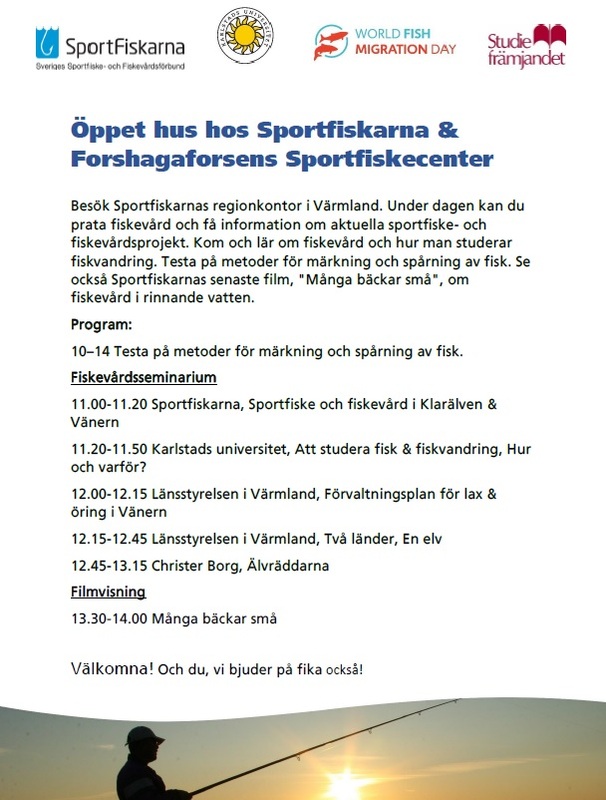 In Forshaga outside of Karlstad, the Swedish anglers association (Sportfiskarna Värmland) will have an open house in their regional office between 10.00-14.00 on April 21. The event is coordinated by the anglers association, researchers from Karlstad University and the sport fishing upper secondary school in Forshaga (ForshagaAkademin). Representatives from the county board in Värmland and the organization Älvräddarna will also participate in the event. Visitors can learn about fish conservation and how to study fish migration. The anglers association will also show their latest movie about river restoration, “Många bäckar små”. Read more about the event at the anglers association here, and about World Fish Migration Day and World Fish Migration Foundation on their official websites. We also want to encourage the registration of more events for World Fish Migration Day. In that way we can reach more people, which hopefully will create more interest and awareness of the importance of healthy river ecosystems and migratory fish populations. 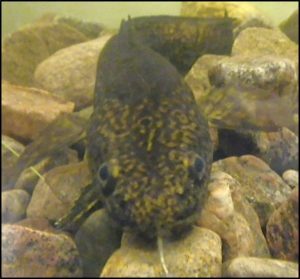 On Tuesday 3 April 2018, Karl Filipsson, PhD student at Karlstad University, will give a talk titled “The effects of temperature and light conditions during winter on antipredator responses of juvenile brown trout against burbot”. The seminar will start at 13:15 in room 5F416 at Karlstad University. Everyone is welcome to attend the seminar. For the first Tuesday seminar of the year, Kristine Lund Bjørnås, PhD-student at Karlstad University, will talk about evidence synthesis in environmental science. The seminar will be held Tuesday 23 January at 13:15 in room 5F416 at Karlstad University. Everyone is welcome to attend the seminar. “In these times of alternative facts and post truth, the role and authority of scientists in society is challenged. 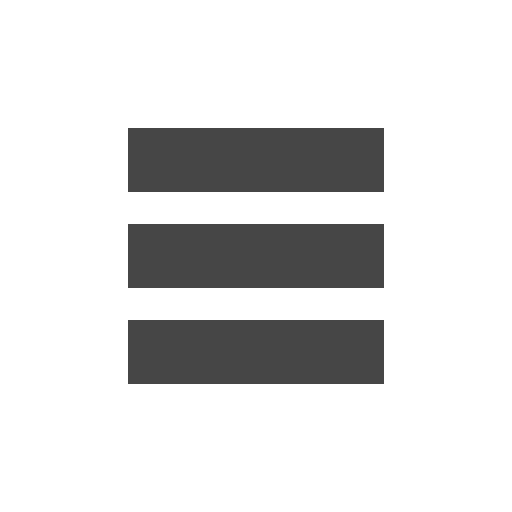 It is therefore important that we as scientists continue to improve our methods and communication – and one way of doing that is to increase interaction with the end-users of scientific findings. In environmental- and natural resource management, many important policy and practice decisions are not being taken based on the best available scientific evidence, even when that is an explicit management objective. For instance, in a questionnaire among conservation practitioners in England, the majority (77%) reported that they used “commonsense”, “personal experience” or “speaking to other managers” as their primary source of information prior to management actions (Sutherland et al. 2004). This might be because there is no clear understanding of what the best available scientific evidence (i.e. “what works”) is. 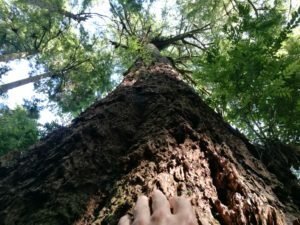 As a response to this need for more evidence-based environmental management, systematic reviews have found their way also into environmental science. 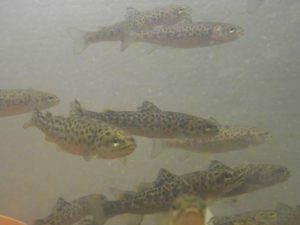 Brown trout (Salmo trutta), the model species of Kristine’s dissertation project, in an aquarium at Karlstad University. Sutherland, W.J. ; Pullin, A.; Dolman, P.M. & Knight, T.M. 2004. The need for evidence-based conservation. TRENDS Ecol Evol. 19.6. Tomorrow, 26 September, Rachel Bowes, postdoctoral researcher at Karlstad University, will give a seminar on “Temporally analyzing river food webs”. The seminar will be given at 13:15 in room 5F416 at Karlstad University. Everyone is welcome to attend the seminar. All talks will be given in Room 5F322, at Karlstad University. Everyone is welcome to attend the workshop. Register to john.piccolo@kau.se if you wish to attend. On Tuesday, 23 April, Tobias Donath from the Kiel University, will give a seminar on ”Restoration of species-rich grassland – opportunities and obstacles”. The seminar will be given at 14:30 in room 5F416 at Karlstad University. Everyone is welcome to attend the seminar. On Tuesday, 18 April, Victoria Pritchard from the University of Turku, will give a seminar on “Conservation Genomics of Atlantic Salmon”. The seminar will be given at 13:30 in room 5F416 at Karlstad University. Victoria has worked in the UK, USA, and Finland, and has published over 20 articles in leading conservation, evolutionary and fisheries journals. Everyone is welcome to attend the seminar. Tomorrow (Tuesday), February 28, David Aldvén from the University of Gothenburg and Vattenfall AB, will give a seminar titled ”Downstream migration of anadromous brown trout”. David Aldvén finished his PhD with a thesis titled ”Migration in anadromous brown trout”. The frame of his thesis is available online here. The seminar will be given at 13:30 in room 5F416 on Karlstad University. Everyone is welcome to attend!